Great as a tapa with a glass of sangria or wine on one hand. 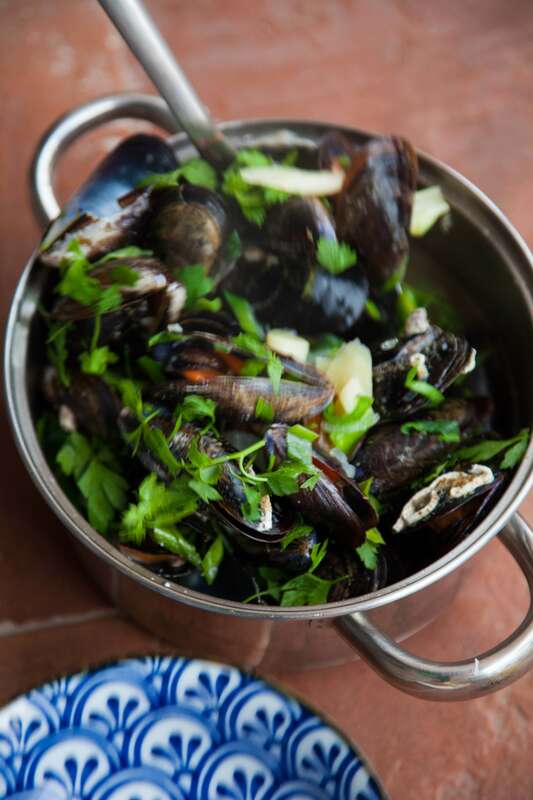 Mussels are commonly eaten in Spain and can be found throughout tapas and pintxos bars. This version was inspired by our pintxos crawl in San Sebastian. We later had a similar version in Barcelona at Cuines Santa Caterina. Our little service apartment in Zaragoza served us well, a base for the creation of many of my Spain’s trip recipes. Add onions, garlic and red bell peppers. Cook, stirring frequently, until softened, 6 to 8 minutes. Stir in saffron. Cook, stirring, until fragrant, about 30 seconds. Pour in white wine, stirring to scrape up any browned bits. Bring to a simmer. 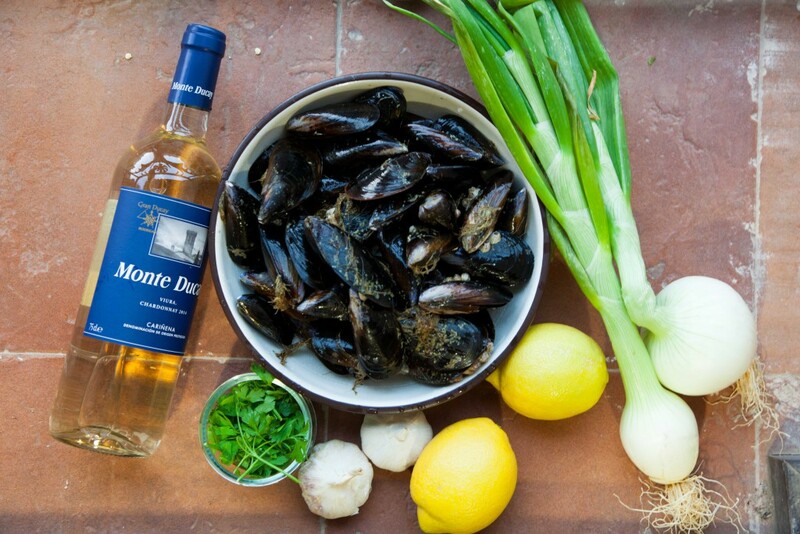 Add mussels and stir to combine. Return to a simmer. Cover, reduce heat and simmer until the mussels open, 6 to 8 minutes. 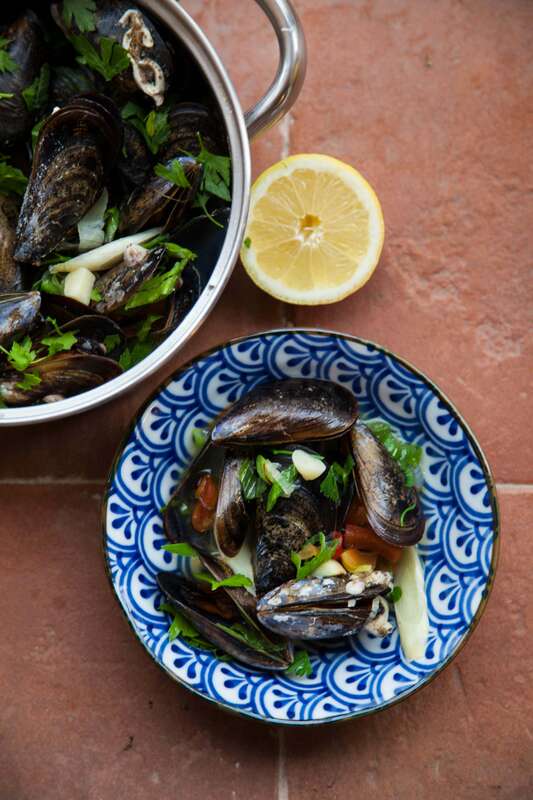 Stir; discard any unopened mussels before serving. Garnish with freshly chopped parsley and spring onions. Serve with a drizzle of good quality extra virgin olive oil. Add freshly squeezed lemon juice just before eating. This is a basic recipe for cooking of mussels and clams. 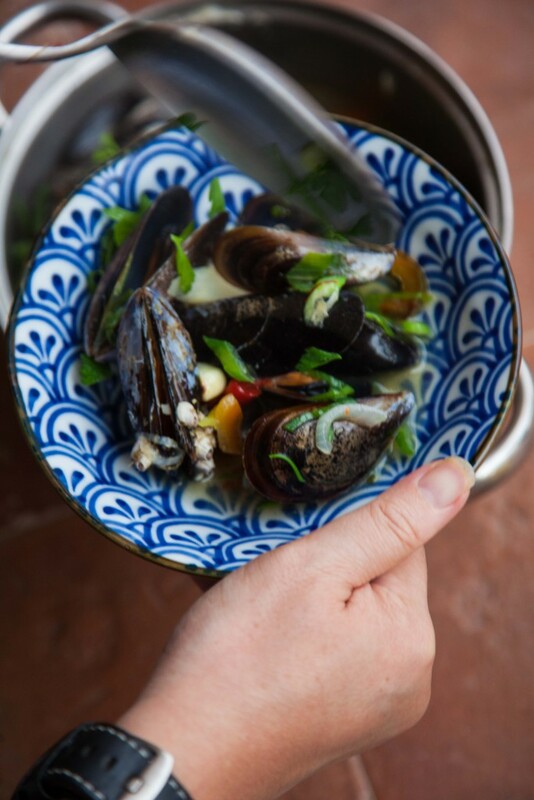 To make a thai version, add lemongrass stalks chilli padi and kaffir lime leaves. Garnish with coriander. 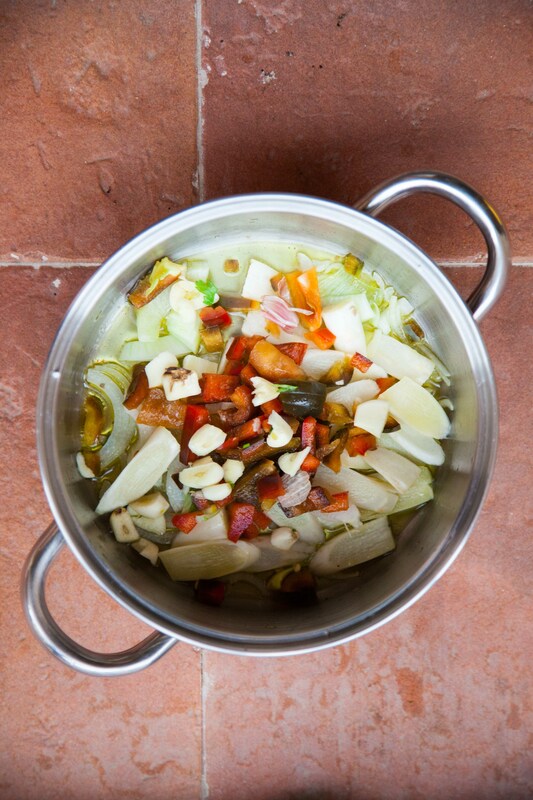 For an Italian version, add bay leaves and a sprig of rosemary, sliced fennel and some chopped tomatoes. *To debeard a mussel, hold the mussel in one hand. Firmly pull out the black fibrous “beard” from the shell. Andrew loves mussels and with the fresh mussels we bought from the Central Market, the best way was to cook in its own juices.